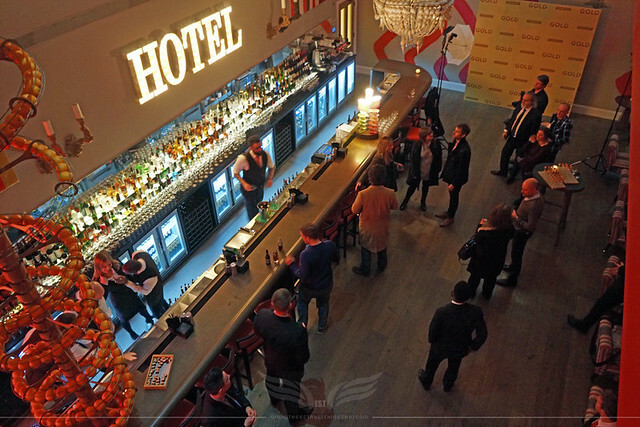 Last Friday I was fortunate to crack an invite to what was the hottest ticket of the week - an early screening of Stephen Gaghan's outstanding Gold starring Matthew McConaughey, Bryce Dallas Howard and Edgar Ramirez, held at the gorgeous Ham Yard Hotel. 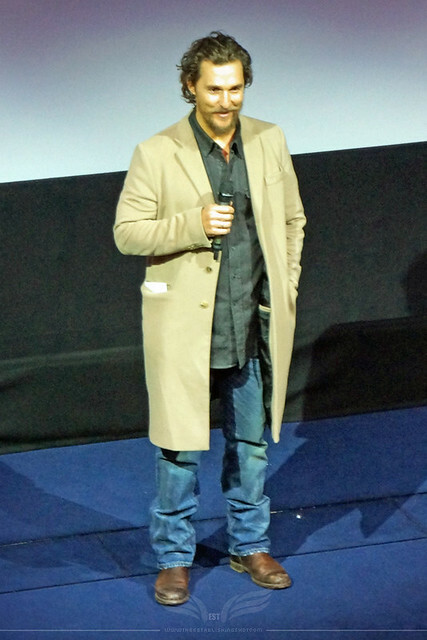 Look any reason to visit the Ham Yard Hotel is good (if you get the chance pop into the magnificent Dive Bar, the film themed Bollywood Spill Out Area and the Croc Bowling Alley) but this was a particularly good occasion as none other than Matthew McConaughey himself popped in to introduce his latest film Gold to the jam packed screening. 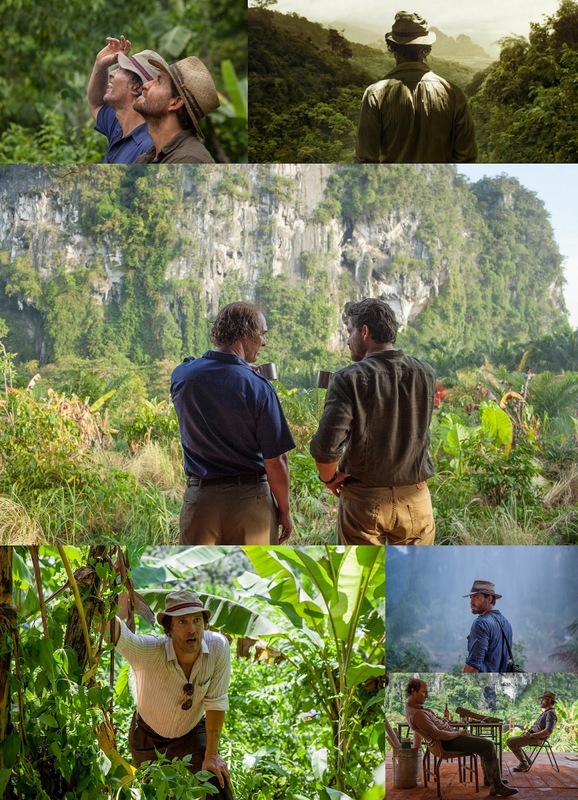 Kenny Wells, a prospector desperate for a lucky break, teams up with a similarly eager geologist and sets off on a journey to find gold in the uncharted jungle of Indonesia.. 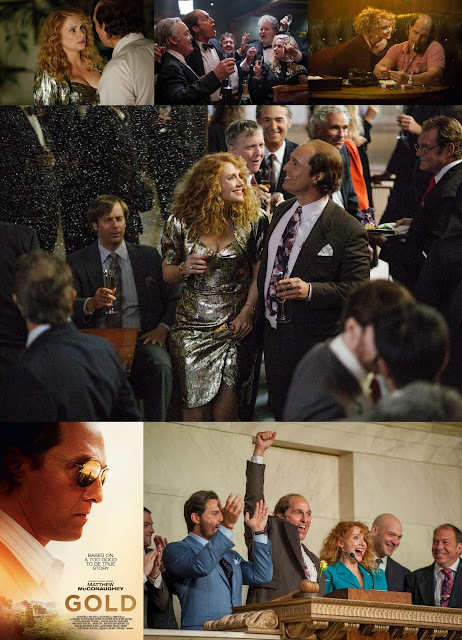 If you are a regular reader of The Establishing Shot you would probably already know that I am a huge fan of the talent and recent works of McConaughey, as he, has turned out to be a real star, in the classic sense of a Hollywood film star, he has successfully traversed the spectrum of film genres to deliver some of both his and his generations most poignant on screen performances. This is the case with Gold where lead Matthew McConaughey plays Kenny Wells a modern prospector, his grandfather clawed his fortune out of the side of a mountain, his father continued the legacy, prospecting is in Kenny's blood, but it looks like the line is perilously close to ending with Kenny after fortune frowns upon him. Down to his last cards Kenny has a dream, cashes in his last chips or rather pawns his and her watches and sets off on a wild adventure that takes him to the limits as he carves out his own path. Matthew McConaughey a great casting choice for the lead role, as he embodies that American spirit of being able to chase a dream down and this is something he relates to thematically, as treasure hunting is something that has popped up in his filmography more than once, this is also used as a clever device in the film's roll out. 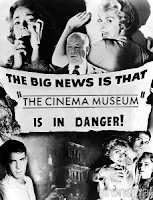 From the moment you hear the sound of a gold coin pinging as the film's title comes up you know you are in for a fun ride. 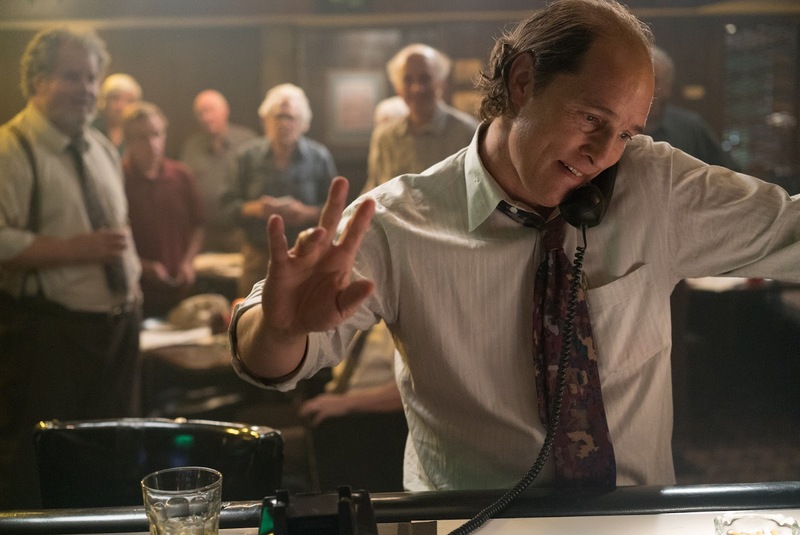 Kudos to the script writers Patrick Massett, John Zinman and Stephen Gaghan for bringing the bold and nuanced story to life rather than letting it play out as just a parodical cliche of a man flying to close to the sun. 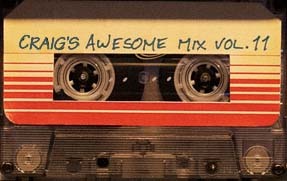 I loved the script and story roll out. But then again Gold was made under they eye of Stephen Gaghan who has a catalogue of intelligent challenging films to his name. 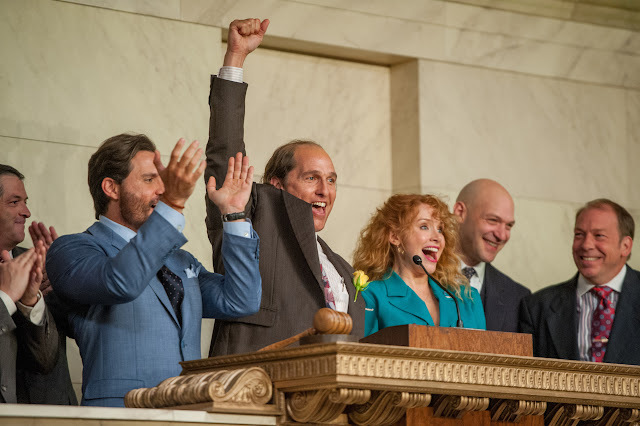 Along with McConaughey the film benefits from great performances from Bryce Dallas Howard, Corey Stoll in a small but pivotal role and very much from Edgar Ramírez's turn as Michael Acosta. 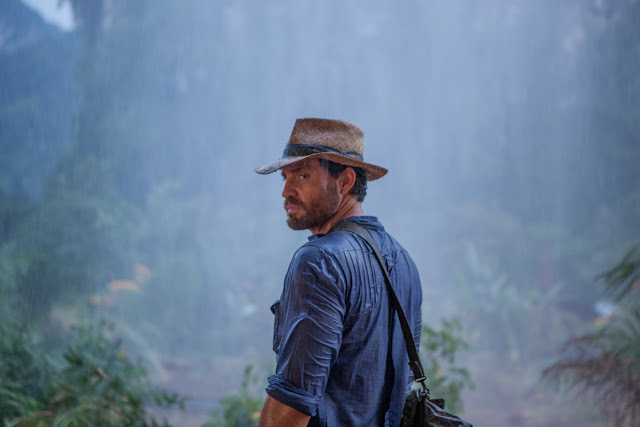 Safe to say that it is well worth a trip to the cinema to see this captivating tale roll-out on the screen backed with performances from a phenomenal cast bringing this fairly autobiographical story to life with engaging performances. But it is both that winding tale, the casting and the performances that lift the film for me. This is the one where Edgar Ramirez really comes into his own and shines. Moving forward it may be difficult to avoid comparisons to Martin Scorsese's The Wolf of Wall Street as there are similar personality traits to Matthew McConaughey's characters, similar time periods as well as the role of Wall Street in both films. But Gold should really be viewed as a separate entity and you will enjoy it for what it is. An entertaining tale with a rather sharp and pointed underlying look at the human condition. 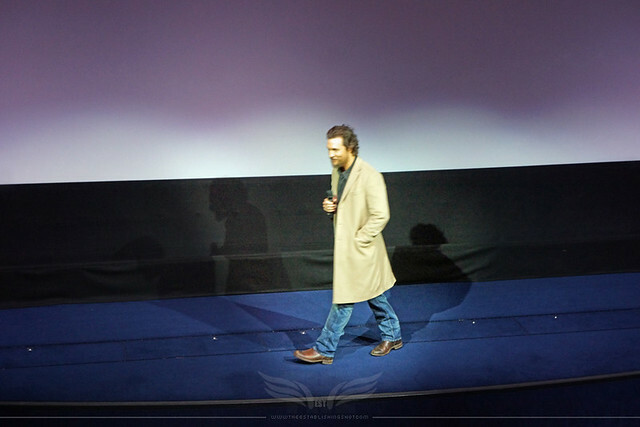 I went in to the screening knowing very little, in fact I had to look up details of the story afterwards as it genuinely seemed too good to be true, but knowing nothing about the film allowed me to go in and be pleasantly surprised and swept away by the tale. Skip the trailers and marketing that will no doubt reveal too much and build expectations - just go see this little gem. 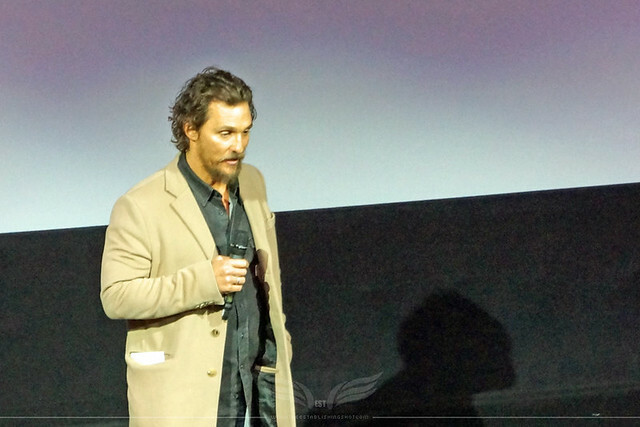 What a treat for Matthew McConaughey to pop in and introduce Gold to us. Thank you for coming to see this little work we did called Gold. This script came to me about 5 and half years ago and was one of two scripts in my career that after one read I had that wonderful feeling that no one else could do this. I have to do this. I showed the script to my agent, we worked on it for 3 years and we really came to the same conclusion who we wanted. 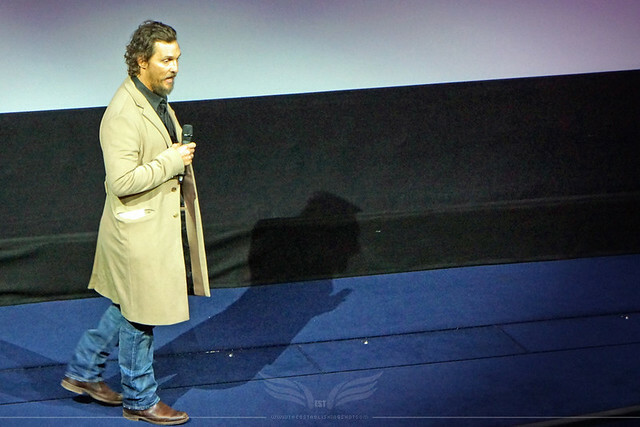 And then Stephen Gaghan came on, we sort of felt like we pulled him out of a mid career retirement. He had written Traffic, then directed Syriana and hadn't done much over 10 years. Stephen came on, understood the material really well and the places. This character Kenny Wells, a lot of this is based on truth, he is a dreamer, who literally follows a dream, hocks a watch and heads off to Indonesia to make that dream true. The script took is from the dusty bars of Reno, Nevada to the jungles of Indonesia to the top floors of Wall Street. Again it is mostly true and it's one hell of a tale. 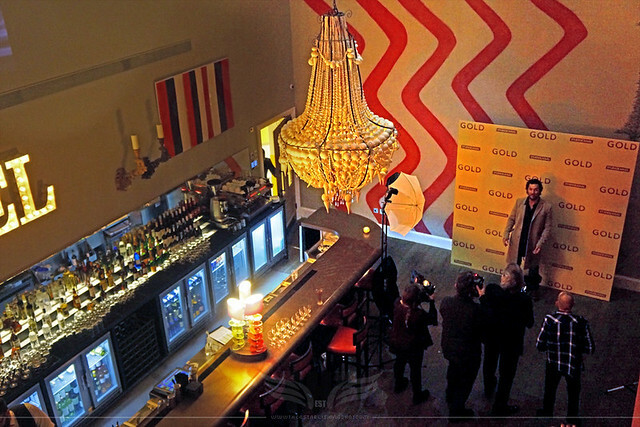 The full Gold Image Gallery can be viewed here! 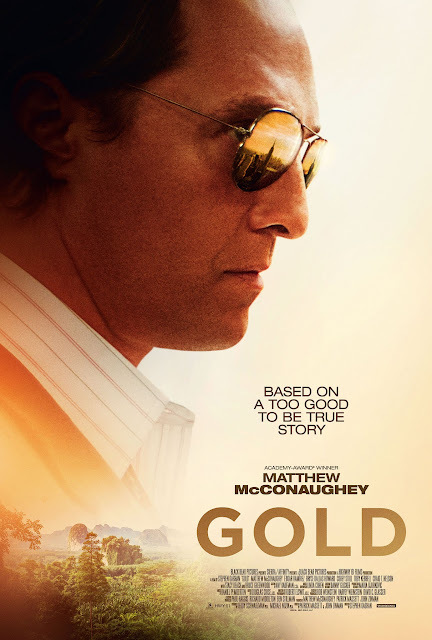 GOLD is released in UK cinemas 3 February 2017.